Citta Di Mare or City by the Seaside is the 3rd largest infrastructure project in the Philippines and the most daring venture of the Cebu city government in partnership with Filinvest Land, a Cebuano owned real estate incorporation. This new city will rise at South Road Properties, Cebu after 10 years (estimate only). According to Congressman Tommy Osmeña, former Cebu City mayor,it took him 4 years battling and maneuvering to push the project through. And now that it’s been officially approved, he stresses out that the battle is not yet over. He predicts that the real estate project would surely face oppositions and negative reviews from the locals and even from other private organizations. But he assures Filinvest that this will be properly controlled by the local government under the administration of the new city major, Mike Rama. 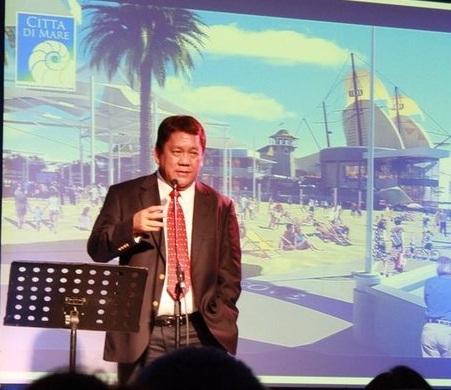 The Cebu City government, in partnership with Filinvest Land, formally launched the Citta Di Mare project on August 28, 2010 in Crimson Resort and Spa. 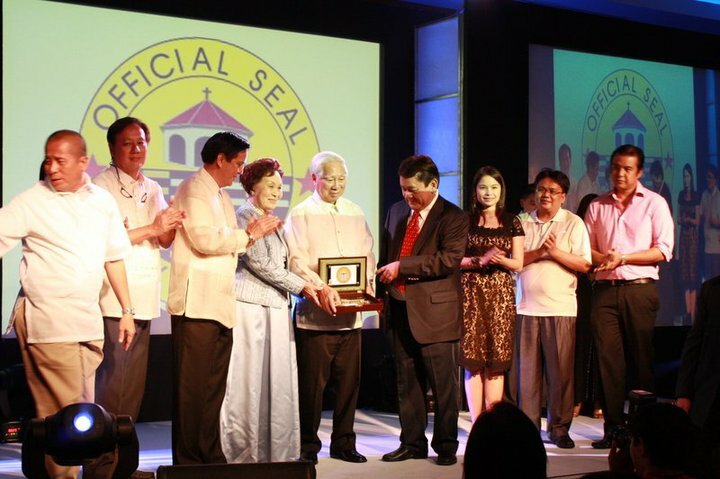 This event also served as the homecoming of Filinvest Land’s Chairman Emeritus, Andrew L. Gotianun, Sr.
Congresswoman Cutie del Mar, Congressman Thomas Osmeña (with his wife), and Mayor Mike Rama (and a few of his councillors) led the launching and introduced Filinvest to the local media. Citta Di Mare, is an Italian name which means City by the Seaside, is intended to give the Cebuano people an immersing coastal experience which would immitate the charms of seaside living like those in Sydney’s Darling Harbour, California’s Newport Beach, Fisherman’s Wharf and the romantic French Riviera. Citta Di Mare’s concept of resort living will be realized at the heart of Cebu’s South Road Properties (SRP). It will occupy 50.6 hectares of SRP’s land and will feature a waterfront lifestyle strip and a residential resort town bounded by majestic views of Mactan’s coast and Cebu’s mountainous areas. I’m not adept when it comes to real estate terms and the likes but this question popped out from my head when I was listening to Congressman Osmeña’s speech regarding the multi-billion budget of this project. I wondered how long would a reclaimed land (we all know that below SRP’s spanning hectares of land is seawater) will last, considering that its foundation is not the same with those non-reclaimed ones. I mean having a very large infrastucture above a seawater and a reclaimed area doesn’t look that good if we’ll talk about future stability and security. All in all, I’m looking forward to this gigantic project and once and again, I’m proud that I’m living here in Cebu. Some said, if Cebu will be separated from the Philippines, the city’s competence and economic stability can be compared to Singapore. I hope this project will start soon so that it can generate employment for some of the cebuanos that badly needs jobs. This project will be of a great help for Cebu City and Cebu Province by providing additional source of revenue for the City Government. Even though I’m outside the country working, I still keep on tracking the latest developments in Cebu. I’m so proud to be a Cebuano. Keep on growing Cebu and make the whole Philippines proud. foundation issue on a reclaimed land? ever heard of burj dubai? and one thing, foundation is not an issue since this is not a high rise project. I am excited!!!! Just bought a 2-BR ! !